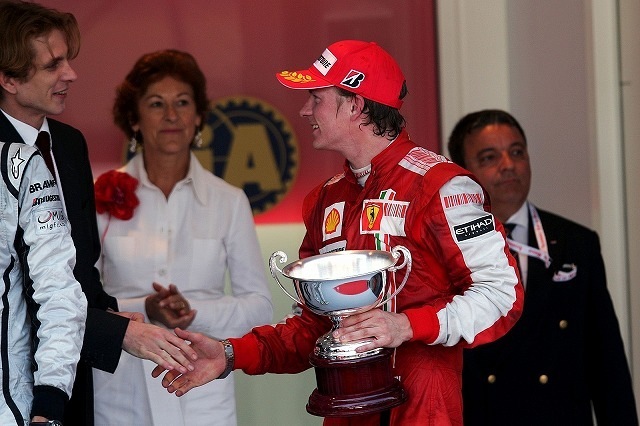 I wasn’t too happy with the third place at the Monaco GP. For sure it was the best result in the last time, but that was nothing new to me and we knew that we could arrive on a place on the top. When the leaders in the Championship are so far ahead in the classification, in the end it’s only a victory that counts. Being back on the podium is a nice reward for the whole Team. The hard work of the last weeks finally bears some fruit, which is really positive for all of us. We know that we’re on the right way now: there are still some minor things to be done but sooner or later we will win. We’ll show up with further improvements of the F60 in the upcoming races and we hope we can then challenge the leaders even more, in the qualifying and in the race. The Monaco qualifying is so much more important than on other tracks and we’ve almost done a perfect job: we missed the pole by 25 thousandsth of a second. Not starting from the first position means that it’s very likely you won’t win. Furthermore the second position on the grid doesn’t help on this track. You start from the dirty side of the track and whenever I found myself in this position I always lost at least one position in the field, because the tyres spin a lot at the start. In fact Rubens overtook me, which was really a shame. If I had manaaged to stay beind Button I think I could have easily opened a gap. In the end it was difficult to fight for second position and then there was this story at the last pit stop, where we lost a couple of seconds, due to a problem with the right rear wheel. When I took up the race again I was further behind the Brazilian than before. e tests on snow last winter. As I’m coeing from the race track it will be intersting to see what I will be able to do behind the wheel of the Fiat Grande Punto S2000 on the roads close to Treviso.